Ten years ago, America confronted one of our darkest nights. Mighty towers crumbled. Black smoke billowed up from the Pentagon. Airplane wreckage smoldered on a Pennsylvania field. Friends and neighbors, sisters and brothers, mothers and fathers, sons and daughters – they were taken from us with heartbreaking swiftness and cruelty. On September 12, 2001, we awoke to a world in which evil was closer at hand, and uncertainty clouded our future. In the decade since, much has changed for Americans. We’ve known war and recession, passionate debates and political divides. We can never get back the lives that were lost on that day, or the Americans who made the ultimate sacrifice in the wars that followed. And yet today, it is worth remembering what has not changed. Our character as a nation has not changed. Our faith – in God and each other – that has not changed. Our belief in America, born of a timeless ideal that men and women should govern themselves; that all people are created equal, and deserve the same freedom to determine their own destiny – that belief, through tests and trials, has only been strengthened. These past 10 years have shown that America does not give in to fear. The rescue workers who rushed to the scene; the firefighters who charged up the stairs; the passengers who stormed the cockpit – these patriots defined the very nature of courage. Over the years we have also seen a more quiet form of heroism – in the ladder company that lost so many men and still suits up and saves lives every day; the businesses that have rebuilt from nothing; the burn victim who has bounced back; the families that press on. Last spring, I received a letter from a woman named Suzanne Swaine. She had lost her husband and brother in the Twin Towers, and said that she had been robbed of “so many would-be proud moments where a father watches their child graduate, or tend goal in a lacrosse game, or succeed academically.” But her daughters are in college, the other doing well in high school. “It has been 10 years of raising these girls on my own,” Suzanne wrote. “I could not be prouder of their strength and resilience.” That spirit typifies our American family. And the hopeful future for those girls is the ultimate rebuke to the hateful killers who took the life of their father. These past ten years have shown America’s resolve to defend its citizens, and our way of life. Diplomats serve in far-off posts, and intelligence professionals work tirelessly without recognition. Two million Americans have gone to war since 9/11. They have demonstrated that those who do us harm cannot hide from the reach of justice, anywhere in the world. America has been defended not by conscripts, but by citizens who choose to serve – young people who signed up straight out of high school; guardsmen and reservists; workers and businesspeople; immigrants and fourth-generation soldiers. They are men and women who left behind lives of comfort for two, three, four or five tours of duty. Too many will never come home. Those that do carry dark memories from distant places, and the legacy of fallen friends. The sacrifices of these men and women, and of our military families, remind us that the wages of war are great; that while service to our nation is full of glory, war itself is never glorious. Our troops have been to lands unknown to many Americans a decade ago – to Kandahar and Kabul, to Mosul and Basra. But our strength is not measured in our ability to stay in these places; it comes from our commitment to leave those lands to free people and sovereign states, and our desire to move from a decade of war to a future of peace. These 10 years have shown that we hold fast to our freedoms. Yes, we are more vigilant against those who threaten us, and there are inconveniences that come with our common defense. Debates – about war and peace, about security and civil liberties – have often been fierce these last 10 years. But it is precisely the rigor of these debates, and our ability to resolve them in a way that honors our values and our democracy, that is a measure of our strength. Meanwhile, our open markets still provide innovators with the chance to create, our citizens are still free to speak their minds, and our souls are still enriched in churches and temples, our synagogues and mosques. These past 10 years underscore the bonds between all Americans. We have not succumbed to suspicion and we have not succumbed to mistrust. After 9/11, to his great credit, President Bush made clear what we reaffirm today: The United States will never wage war against Islam or any religion. Immigrants come here from all parts of the globe. In the biggest cities and the smallest towns, in schools and workplaces, you still see people of every conceivable race, religion and ethnicity – all of them pledging allegiance to the flag, all of them reaching for the same American dream – e pluribus unum, out of many, we are one. These past 10 years tell a story of our resilience. The Pentagon is repaired, filled with patriots working in common purpose. Shanksville is the scene of friendships forged between residents of that town, and families who lost loved ones there. New York remains the most vibrant of capitals of arts and industry, fashion and commerce. Where the World Trade Center once stood, the sun glistens off a new tower that reaches toward the sky. Our people still work in skyscrapers. Our stadiums are filled with fans, and our parks full of children playing ball. Our airports hum with travel, and our buses and subways take millions where they need to go. Families sit down to Sunday dinner, and students prepare for school. This land pulses with the optimism of those who set out for distant shores, and the courage of those who died for human freedom. Decades from now, Americans will visit the memorials to those who were lost on 9/11. They will run their fingers over the places where the names of those we loved are carved into marble and stone, and they may wonder at the lives they led. Standing before the white headstones in Arlington, and in peaceful cemeteries and small-town squares in every corner of our country, they will pay respects to those lost in Afghanistan and Iraq. They will see the names of the fallen on bridges and statues, at gardens and schools. And they will know that nothing can break the will of a truly United States of America. They will remember that we have overcome slavery and Civil War; we’ve overcome bread lines and fascism; recession and riots; Communism and, yes, terrorism. They will be reminded that we are not perfect, but our democracy is durable, and that democracy – reflecting, as it does, the imperfections of man – also gives us the opportunity to perfect our union. That is what we honor on days of national commemoration – those aspects of the American experience that are enduring, and the determination to move forward as one people. More than monuments, that will be the legacy of 9/11 – a legacy of firefighters who walked into fire and soldiers who signed up to serve; of workers who raised new towers, of citizens who faced down fear, most of all of children who realized the dreams of their parents. It will be said of us that we kept that faith; that we took a painful blow, and we emerged stronger than before. With a just God as our guide, let us honor those who have been lost, let us rededicate ourselves to the ideals that define our nation, and let us look to the future with hearts full of hope. May God bless the memory of those we lost, and may God bless the United States of America. On 11 Sep 01, I was teaching at high school in a small town in the southwest United States. While driving to work I was listening to the Imus in the Morning Show and had heard about Flight 11 flying into the World Trade Center (WTC) and listened to the speculation of what must have happened; as I walked into my classroom I immediately turned on the TV to see what had happened. While watching the CBS Morning News – with about a dozen students – we witnessed Flight 175 hit the WTC. I’m not sure “shock” adequately describes the feelings that morning, but there was no doubt in those few minutes that these were terrorist attacks, and that our world was changing before our eyes. That night I remember hugging my wife and kids and watching the news. As an Army Reservist, I told my wife, “this is now a war and it’s not a question of ‘if’ but ‘when’ I’ll be called up.” I will forever remember the faces of my children as they tried to cope with what was going on. For the next week – being a Social Studies teacher – suspended normal class work and – together with my students – watched the beginning of war unfold. We wept together as we witnessed the towers collapse and saw news reports about Flight 77 crashing into the Pentagon, and of the heroism of the passengers and crew on Flight 93 as they rushed to take over the plane forcing its crash into a field in rural Pennsylvania. The days were spent trying to cope with what was being seen, and the feelings of fear and of the unknown future. By Friday, I decided it was time to give my students a chance to express their feelings. I gave them paper and crayons, markers and colored pencils and told them to draw their feelings. Their feelings poured out onto the paper, and from some there were tears as they drew and wrote about their world turned upside down. I had them write letters to the President and I collected and sent the letters to President Bush. Weeks later he replied, and I gave a copy of the letter to each of my kids. As the years passed many of my students joined the military, and some found themselves in Iraq and Afghanistan, some multiple times. One didn’t come home. To me, these young men, who willingly volunteered to serve, and to fight, are the greatest generation. They did not hesitate to volunteer and to serve. They willingly went where others would not go. There was no draft. In 2005, I tried to follow their example, and volunteered to lead a force protection mission for deployment to Iraq; during my training in preparation to go, I was injured severely and eventually received an artificial knee. I have found myself on many occasions wondering if I should have gone anyways, but I would not have been able to move in combat and lead my men the way they would have needed to be led. It is something that will probably always haunt me, that my men went and I did not. They all survived the deployment, but I’ve lost two of them since due to issues with PTSD. When news came that Osama Bin Laden had been killed by members of Navy Seal Team 6, I rejoiced. I felt no guilt, and still feel none for having done so. Bin Laden hurt my children, and my students. He stripped away some of their innocence and I was glad he was gone. Had I been with the seals I would have – without hesitation – ended his life. To me there are times, and individuals, who are not worthy of trial, nor of justice in the conventional method. He had lived by the sword and he died by the sword. 9-11 is a difficult anniversary. It is not something we celebrate; it is something we commemorate. We mourn the dead and the loss of childhood securities, and we celebrate the heroism of those who rushed into burning buildings, and who’ve fought and suffered on countless battlefields in towns and fields in faraway lands. We reach out and try to support those who continue to suffer both the seen and the unseen injuries of war. We find ways to help, and we pray for release and for strength, and we pray that the sights and sounds of that fall morning will never be experienced again. Well, let’s see, an estimated 91,000 police, firefighters and other first responders helped with the search and rescue efforts in the wake of the September 11th attacks, isn’t it interesting that the same uber-conservatives who wouldn’t vote to extend benefits to these brave man and women now have their nickers in a knot because there’s not enough room for all 91,000 of them to attend the 9-11 Memorial dedication and ten year commemoration of the attacks. To those on the right, enough already with politicizing 9-11; put your money where your mouth is; enough with your phoney uber-patriotism. First responders aren’t being invited because no one on the left cares; there simply isn’t enough room for everyone. Yes the President is attending, and so is Bush and Giuliani; but seriously, give it a rest. Your flag waving when it suits you is tiresome, you cheer the first responders and soldiers as they rush in and then cut their benefits after they stumble out of the debris and from the battlefields. It wasn’t – and isn’t – the President and Democratic Party that refused to extend first responder benefits and that continues to threaten to cut VA benefits – it’s the uber-patriots of the Republican Tea Party. Again, I say, put your money where your mouth is GOTP, raise taxes on the top 2% and take care of those who take care of us. It’s time to put up or shut up. 9/11: White House issues remembrance guidelines? When the words 9-11are uttered they conjure up a variety of mixed and poignant feelings to all who remember that fall day; this year marks the tenth anniversary of the terrorist attack against the United States, an attack which led eventually to two wars, more than 5,000 American dead, tens of thousands additional American wounded, hundreds of thousands of Afghan and Iraqi killed and wounded and trillions of dollars thrown away. White House guidance on commemoration plans – for the government – call for a “positive” and “forward-looking” message with minimum reference to Al Qaeda, the New York Times reports. Commemorations should honour victims of global terror, they say, as citizens of over 90 countries were killed. 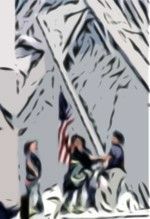 OK, I have to admit that when I first heard about the White House guidance on how the nation should commemorate the attacks I was a little taken aback; however, having thought about it, I agree with the President that it’s time to look to the future while still remembering the honored dead. I believe it’s also time to stop hating and to down play Al Qaeda; I’m one of those who’ve never bought into the theory that Al-Qaeda was some sort of well-oiled terror machine; to me they’ve always been a pack of punks hiding out in caves who managed to pull off a terrorists dream attack against the United States, but nothing more. They’re still a bunch of cave dwelling punks and they’re still coming out into light every now and then to lash out and kill and maim. Following the attacks we invaded Afghanistan with the thought of capturing or killing Osama Bin Laden – the purported master mind of the attack – and to punish the uber-conservative Islamic Taliban government of Afghanistan which had allowed Al Qaeda to shelter and train there; but we weren’t long into the invasion when the Bush/Cheney administration became distracted with Iraq. Bush sent the country into a second war based on lies and manipulated intelligence reports. The cost was enormous both in casualty rates and in treasure squandered to ostensibly settle a Bush family score with Saddam Hussein. Bush left office with one of the lowest presidential approval ratings in history; a ruined economy and no Bin Laden to show for his wasted efforts. A few months ago President Obama ordered Navy Seals to do what Bush/Cheney could never do – to kill Bin Laden. He was taken out; hiding in Pakistan behind one of his wives, and his body was unceremoniously dumped into the ocean. I admit I was more than a little happy when I heard they had capped him in the head. 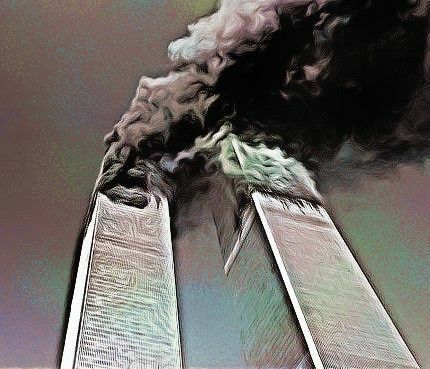 So, now the boogey man is gone, and it’s time for the President to move the country past 9-11, past the terror of that day, past the hate filled vilifying of everything Islam, and past the wasteful wars of Bush/Cheney. Accordingly, the White House has said commemoration plans will place emphasis on the theme of resilience, and warned of future attacks; while highlighting the steps taken to break up plots against the US since 9/11 and praising foreign allies in the fight against terror. On Tuesday, President Obama reiterated his pledge to support the “9/11 generation” of veterans in a speech to the American Legion in Minneapolis, Minnesota. “They were there, on duty, that September morning, having enlisted in a time of peace, but they instantly transitioned to a war-footing,” the President said. The President – unlike the Republican Tea Party (GOTP) – supports those who fought, and bled since 9-11. He is opposed to cuts in Veterans Administration (VA) spending and believes it’s the country’s obligation to help those who stepped forward to defend freedom following the attacks. The GOTP slate of presidential hopefuls on the other hand have all said they support massive federal spending cuts including cuts in veteran’s benefits. It’s the typical uber-right response to things. While they’re sending young men and women off to war they’re filling the air with platitudes of support and reverence, but after those same young men and women return, having borne the terrors and pain and suffering of war, having done their bidding, they discard them like broken toys. It’s time to remember the fallen, and those who have fought since the attacks. It’s time to ensure the first responders who rushed into harm’s way are taken care of and supported; it’s time to care for the wounds of our veterans, and to support their transition back into the civilian world; it’s time to move past the hate and to begin to look to the future. Remaining always ready and always vigilant but doing so with confidence and not the fear inspired by those on the right; it’s time to start beating some of our swords into plow shares. FOX PAC Declares “Banning Clergy” From 9-11 Anniversary Ceremony Is “A Victory for the Terrorists”? FOX PAC has its collective knickers in a knot because NYC Mayor Michael Bloomberg has decided that members of the clergy will not be included in 9-11 memorial ceremonies at ground zero. Problem for the uber-conservative talking bovines at FOX PAC is this isn’t a new policy; in fact it’s the exact same practice that has been in place for past memorials. Of course, when have facts ever mattered to the people at FOX PAC? 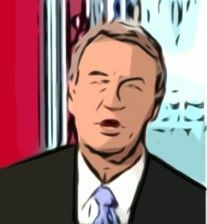 Well gee, I guess Doocy caught Mayor Bloomberg in his Islamic conspiracy – is Doocy really this obtuse? I wonder if Doocy and his cohorts would support an Imam giving a prayer during the ceremony? Well, maybe, but again who offers the prayers, a Rabbi, or an Imam? Or would it have to be an evangelical minister? Why’s he doing it? Because he doesn’t want it to become a Glenn Beckian style event with one minister after another parading across the stage offering religious rants against Islam most probably. And, oh, by-the-way, the Mayor of New York not inviting religious leaders to take part in a government sponsored event doesn’t violate anyone’s freedom of religion. It was interesting to note that when asked if she would support an Imam offering a prayer she said no. Well, of course it isn’t a victory for the terrorists; does Monica not understand there were followers of Islam who were victims of the attacks too, including one young woman who was 7 months pregnant, and that there were also first responders who died that morning who were Muslim? Of course they do, but they don’t care, they’re still consumed with the rabid hate of the uber-conservatives concerning all things 9-11. As was mentioned earlier, the Mayor’s decision isn’t an isolated incident; in fact the Wall Street Journal reported clergy have not participated in past ceremonies commemorating the attack. The Wall Street Journal reported on 24 August 11, “Religious leaders are calling on Mayor Michael Bloomberg to reverse course and offer clergy a role in the ceremony commemorating the 10th anniversary of the terrorist attack on the World Trade Center. “City Hall officials, who are coordinating the ceremony, confirmed that spiritual leaders will not participate this year — just as has been the case during past events marking the anniversary. The mayor has said he wants the upcoming event to strike a similar tone as previous ceremonies. Perhaps the Mayor could have a chaplain from the NYFD give an invocation, and a chaplain from the NYPD give a benediction? And perhaps a Rabbi and an Imam could offer prayers in the middle of the service? After all this is supposed to be a memorial; problem is, once the religious Pandora’s box is opened, he won’t be able to close it, and then there will be cries of favoritism of one religion over another, and if he does invite an Imam the FOX PAC crowd will call for his lynching. This is another case of uber-conservatives crying out against Islam and Sharia law while wanting to impose their Christian version of the same upon everyone else. Fact is this is not the first time religious leaders haven’t been invited, and FOX PAC knows this, wait for the other shoe to drop when FOX personalities blame the absence of religious leaders on President Obama so they revive the theory of him secretly being a closet Muslim. Atheists don’t want 9/11 memorial cross? The Associated Press (AP) is reporting an American atheist group has filed a lawsuit asking a judge to order the removal of a cross-shaped steel beam at the 9/11 memorial in New York or request that other religions and nonreligious views be equally represented. 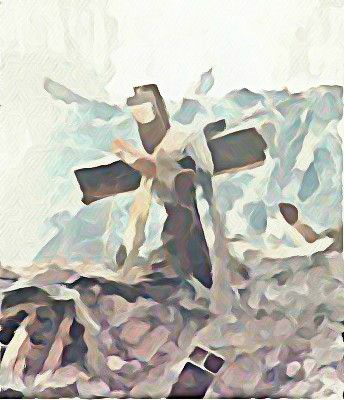 The controversial cross was found amid the wreckage by a construction worker who said he stumbled onto a miracle. It was last weekend moved to the Ground Zero memorial – due to open on the 10th anniversary of the attacks in September – after a blessing by a Catholic priest. It’s to become part of the permanent collection of a 9/11 museum opening next year. He added: “What we’re looking for is a remedy that honors everyone equally, with a religion-neutral display, or display of equal size and prominence.” Silverman said American Atheists has offered to pay for such a display and has several ideas to represent all religions – such as a firefighter carrying out a victim. 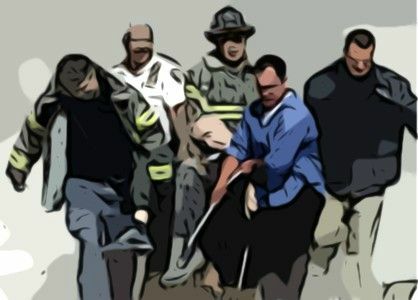 Would that be an atheist fire fighter carrying out an atheist victim? How would we know if either was atheist? Do we know if there were atheists killed during the attack on 9-11? Do we know if any firefighters responding were atheist? Will such a statue have anywhere on its person the Maltese cross – symbol firefighters were wearing on 9-11 – which is a Christian symbol? Museum officials said the cross was being displayed not because of its religious value but the role it played in the aftermath of the attacks. 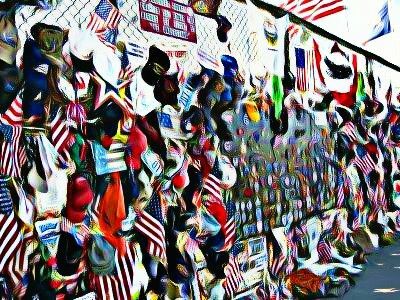 “The mission of the National September 11 Memorial Museum is to tell the history of 9/11 through historic artifacts like the World Trade Center cross. This steel remnant became a symbol of spiritual comfort for the thousands of recovery workers who toiled at ground zero, as well as for people around the world,” museum president Joe Daniels said in a statement. So, then the cross “being a symbol of spiritual comfort” makes it being displayed “not because of its religious value” how? That’s being rather anserous. Of course it’s being displayed for its religious significance, and oh by the way Joe, there’s nothing wrong with that. The cross was a symbol of comfort to those working at Ground Zero in the days, weeks and months following 9-11, and it should be part of any permanent memorial. Atheists get no comfort from it? Fine, but don’t deny others the right to do so. OK, I guess my main question would be, why do we always have to have atheists protesting any time someone puts a cross up? If the American Atheists want a special spot at Ground Zero free from religious symbolism I’m sure an appropriately empty piece of ground can be given to them where nothing is placed; it can just be left empty. They can go and stare at it anytime they like. But please, they’re insistence that everything needs to “God free” and of not having a cross there – one that was found in the wreckage, and that brought hope and comfort – is as ludicrous as right wing uber-conservative Christians insisting Ground Zero is “holy ground” and has to be “Islamic free”. Both are wrong. Both need to be more tolerant. 9/11 Responders’ Aid Package Called Miracle? Yeah, it’s a Christmas miracle alright. It’s a miracle the GOP could actually be shamed into doing something it should have gone along with from the start. 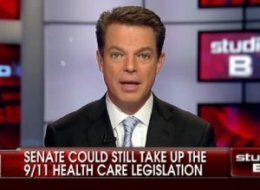 As commendable – and historic – as a FOX PAC commentator demonstrating they’re not all brainless automatons, Smith wasn’t alone (except at FOX PAC) in attacking the soulless Senators of the GOP. While he was putting pressure on the Republicans from within its inner circle, it was Comedy Central’s Jon Stewart who made them all look like the arrogant smucks they really are. 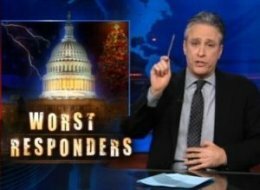 Stewart referred to the GOP Senate members as “the Worst Responders”, sarcastically lauding their success in blocking the 9-11 legislation while passing a continuation of the Bush Tax cuts for everyone, especially the top 2% of Americans. Stewart didn’t just attack the GOP Senate for its opposition however, he also attacked all the news networks, pointing out how none of them – with the exception of Smith’s comments – were airing this story. Well, all except for Al Jazeera. And it was insane! What other word fits to describe the actions of the GOP Senate? For nearly a decade the GOP has made 9-11 it’s personal political rallying cry, waving it around like a bloodied flag. With it’s unconscionable delaying of benefits however, it has forfeited its right to ever evoke that sacred cash cow again. It is one more example of how hypocritical the GOP really is, and voters need to remember this in two years. Every GOP Senator who opposed this bill needs to be heavily campaigned against in their next election. They need to be sent packing for this one shameful action alone.